This matt brown NATO watch strap is made from vintage style, distressed calf leather with matching stitching and a heavy duty steel buckle. 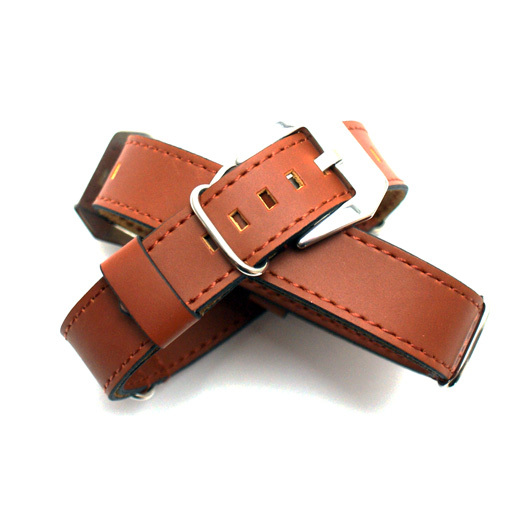 It is from the Diloy Vintage Range, is designed to mimic a vintage or aged strap and may therefore have some dents or marks on it when it arrives, as you may see in the photographs, and will develop crease marks when it is bent. Regular length: 270mm excluding the buckle. There are 9 holes starting 20mm from the end and spaced every 5mm. Space between final two rings (for watch head) 65mm. 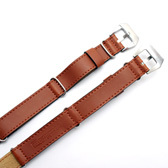 Please be aware that, due to the nature of the leather used, straps may have very small frayed edges on the underside. This is to be expected from a thick cut natural leather product. Not exactly what you are looking for? 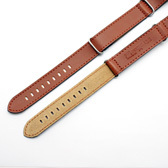 We have a wide range, see the leather nato watch strap gallery for our other options.